Ensure inspections are never missed. Save time, money and reduce risk. 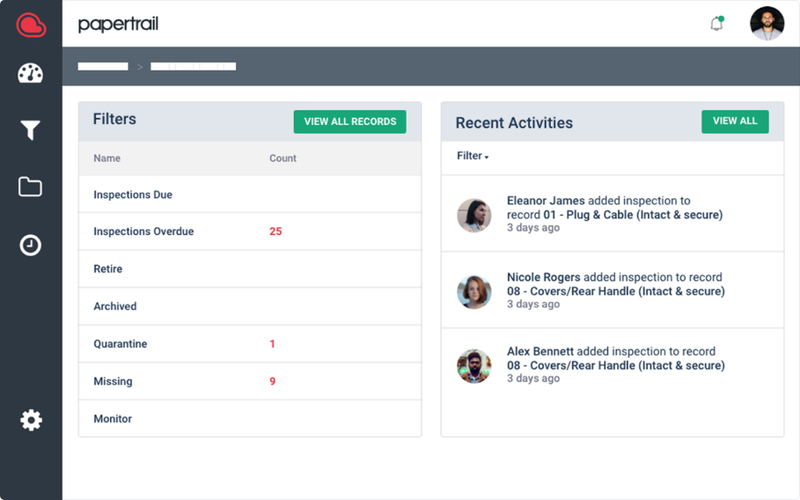 Organise your inspections, set schedules and receive notifications to be reminded when inspections are due. 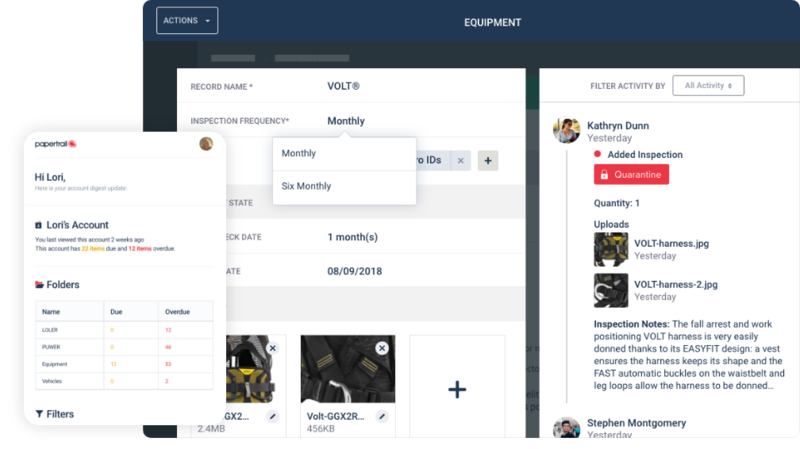 "Papertrail has been a revolutionary system for OPS with regards to control over our PPE." 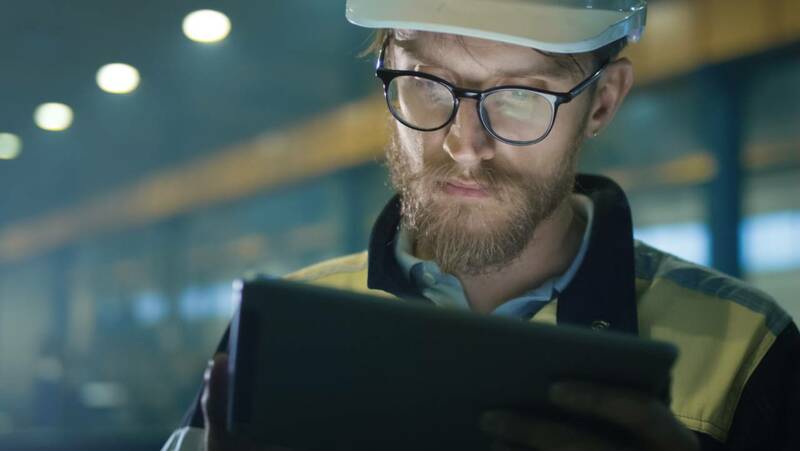 Enhance your inspection records with checklists, product information, photographic evidence and a full inspection history. "It's very easy to learn and easy to use. We tried it and fell in love instantly." Easy to navigate, easy to search. All your records, inspections and evidence in one stress free location. 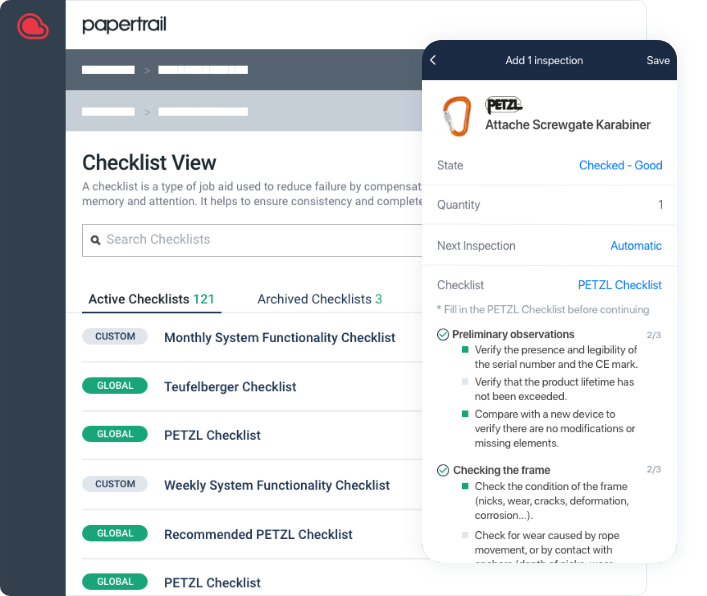 "Compliance plays a huge role in the arboricultural industry, and mismanagement of this can have big implications should something ever go wrong, so for us, Papertrail ticked a lot of boxes in terms of compliance management, ease of use, and stability."